NYC Educator: Is Reformy John King's Decree Worse Than NY Times Thinks? Is Reformy John King's Decree Worse Than NY Times Thinks? 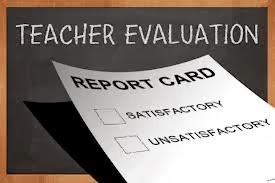 There's a piece in the NY Times all about the issues with the new evaluation system. They're the paper of record, so it must be accurate. I've no idea how large the school is, but I'm sure the Times reporter carefully considered its application to large schools, and understands completely what it means in a large school where APs are in charge of maybe 40 teachers a piece. After all, reporters get paid for that sort of thing. On the other hand, the reporter estimates under the assumption that observers will not spend more than 15 minutes a piece on informal observations. In this astral plane, it's unlikely many observations by responsible admin are 15 minutes. Teachers tell me admin usually stays at least 25 minutes, and often wait until whatever activity they're engaged in is completed, so as to get a real picture of what's happening. Of course, I'm just someone who talks to working teachers every single day, and not a NY Times reporter, so I guess you can't go by me. And it's not just the observations. They have to be low-inference and aligned to the Danielson rubric. Responsible administrators have to take copious notes, supposedly reserving any and all value judgments. They then have to align these supposedly non-judgmental notes to the rubric. That's pretty time-consuming and taxing, particularly for people who aren't used to doing such things. I write very fast, but not everyone does. This is going to be very tough for some administrators, particularly if teachers are sharp enough to catch them when they offer judgments with little or no evidence. In my school, an AP is responsible for 30 or 40 teachers. At maybe 200 per year, that makes more than one observation per day. APs who are not in the habit of writing regularly are going to have a really tough time of it. I know APs who write well who are having an even tougher time of it. Being conscientious, they labor over every word. I've actually had administrators, who don't usually complain to me of such things, say they'd like to take entire days off just so they could get to their writing. APs are supposed to help teachers who really need support, but haven't got time to devote to those who really needs it. They also haven't got the time to help kids who have problems with teachers. King mandated more observations than either the DOE or UFT requested, according to Gotham Schools. What sort of mediator, when you want to sell a car for $500, and I want to pay $200, charges $1000? That would be the esteemed Mr. King. In our school, the principal has decided that anyone who wished to change from option one or two was free to do so. I recently spoke to an AP who was delighted that two department members decided to go from six observations to a mere four. It was like a Christmas gift. That's four down, and a million to go.